Brand new and high quality, non-slip surface is extremely durable for years of active use. Two of the greatest childhood games come together with the twister hopscotch. 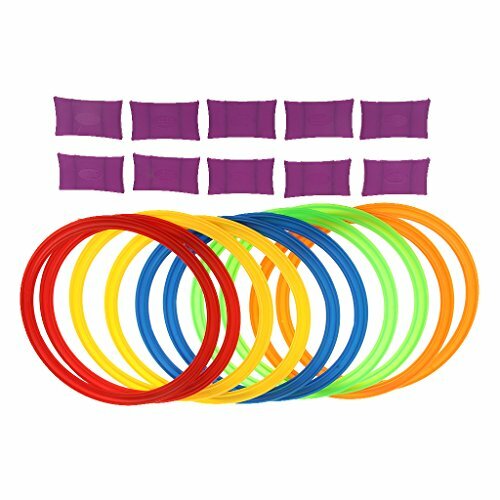 It is easy to learn, quick to set up and the movable rings let kids use their imagination to set whatever jumping grid they like in any pattern. Teach your children their colors and get them plenty of exercise with this entertaining, high-energy kids' game. Now you can play hopscotch year-round. This indoor twister hopscotch game provides a fun and active experience for two players at a time. View More In Floor Games.